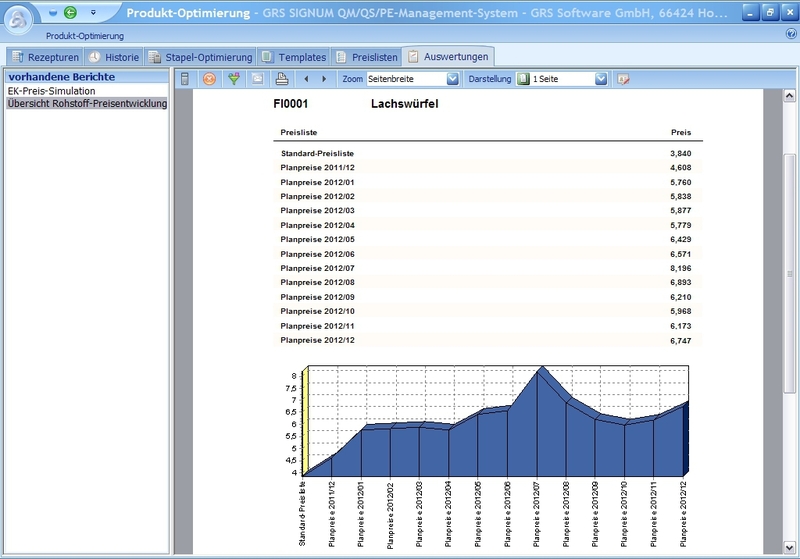 The product optimization module can either be used as an independent application or as an additional module to GRS SIGNUM and its product development module. 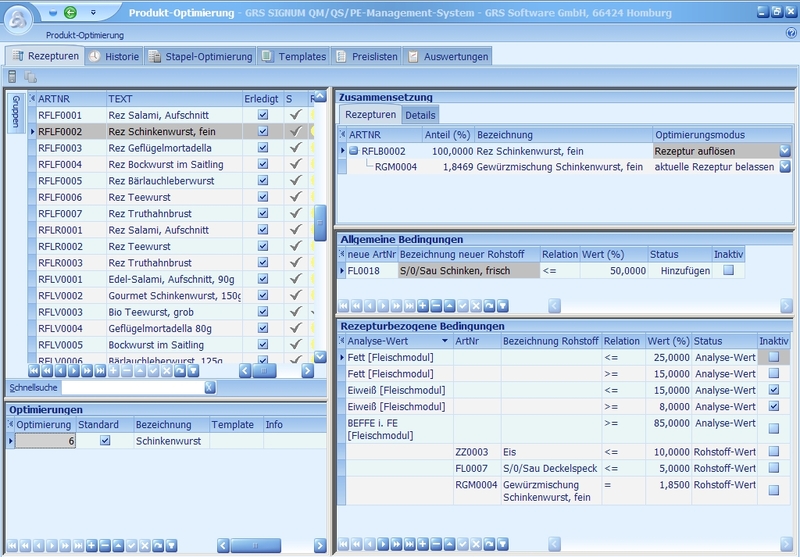 Apart from an optimized recipe composition, comprehensive simulations processes (quality parameters, planned prices, what-if scenarios) can be depicted and assessed. Via the integrated ReportDesigner, the recipe optimization results can be presented in any number of reports with graphical elements. Added to that, the optimization results can be output in various data formats (XLS, PDF, JEPG, HTML, CSV ...) to allow further processing in downstream systems, if required.